Autism is a neurological and developmental disorder affects the way individual interacts with the environment. It starts from early childhood and lasts throughout a person’s lifetime. Such people suffering from autistic disabilities have their share of difficulties in communicating with others and social interaction. The way people suffering from autism perceive the world is different than other people. They suffer difficulties in understanding the world and various other mental abilities. We all can help people suffering autism to make the world a better place to live in for them too. For creating awareness among all the people World Autism Awareness Day is celebrated on 2nd April every year. A month long Autism Awareness month commences from 2nd April every year and lasts upto 30th April every year. Fighting with Autism is easier for the people suffering with autism when we make other person in the world aware too of the problems suffered by them, so that they can also help them in fighting against the problems suffered by them. Autism Awareness shirts are also distributed among people to make them aware about the Autism. 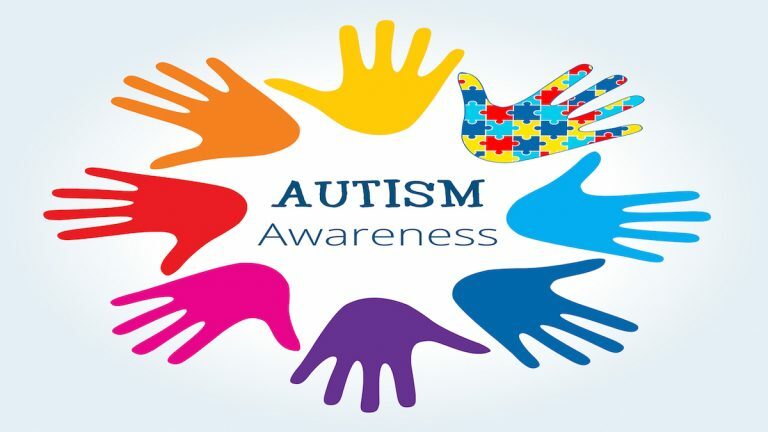 Various Steps must be taken to aware people about the autism suffering people and their difficulties so that they can help them in dealing with their issues. Following little steps goes a long way in fighting a war against Autism. Offer help people suffering from Autism with being little calm and helpful. Listening to their issues and helping them to get out of their problems. We all can do little steps from our side like joining an NGO aimed towards helping autistic suffering people which will enable us in working more closely with people suffering from autism. You can offer tuition to such people and help in learning important skills to earn a living for life. It will make them self sustainable and self dependent. You can also donate money to NGOs helping autistic people so that they can work more enthusiastically and can invest more in Autistic awareness programmers giving advice how to deal with people and help them lead a healthy and happy life. Austistic awareness program goes a long way in helping such people. Be friendly and offer help when to people suffering from autism. Try to understand their concern and listen to them carefully about the problems faced by them so that you offer them all necessary help. Parents, teacher and we as a society whole can fight with autism. Be calm and little patient in dealing with autistic patients. They have some major issues and our little help can be big help to them and enable them to live them a respectable life. Changing mindset of people and considering autistic people too an important part of society. They too can be helpful in contributing to the society in the best possible way and be an important member of the society. They are non-less than any other contributing member of the society if all necessary help is offered to them at appropriate time. Autism is not difficult to win over by consistent steps and help towards such people.